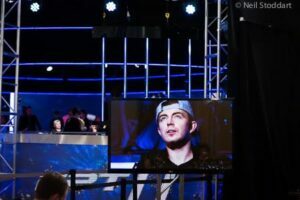 With over $4 million in live tournament earnings, Jake Cody, the youngest ever poker Triple Crown winner, sits among the top 10 on England’s All Time Money List. 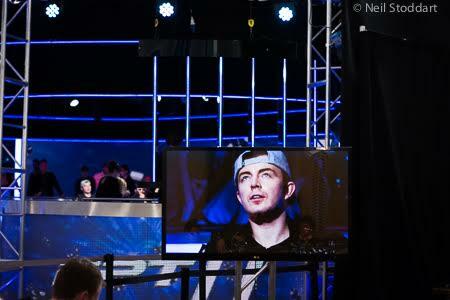 The Rochdale native earned his first major poker title in 2010. His extraordinary blaze of glory started in Deauville and it took Jake only 16 months to complete the Triple Crown at the age of 22. 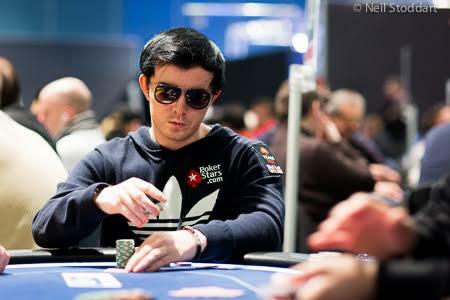 After this grand success, he quickly became one of Britain´s favourite poker players, winning awards, signing up with different online sponsors and finally achieving the dream-come-true Team PokerStars Pro status in 2013. Cody has not let up and has continued his fearless journey, both on and off the felt. At the end of 2015, we met in Prague during the year´s final EPT festival and spoke a little bit about everything, including his career, his family and his recent trip to Africa with Right to Play. 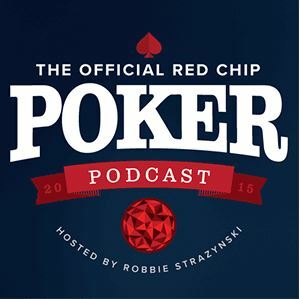 How did you start out in poker? I remember reading you began online, depositing just a few dollars. Yes, I actually deposited one time, I deposited $10. I have changed money between websites – transferring them, but I have never deposited again since. I still have got my bankroll from those initial $10. What was your first significant big win? What would you consider “big” back when you were starting out in poker? Obviously, it progresses. I was just playing tiny, micro stakes. With that $10, I was playing 1 cent tournaments. I remember I´d built up the bankroll to a few hundred dollars and then I won a satellite into a $200 Sunday major. I finished 11th in it for $2,500. It was right at the start, and it was, literally, an insane amount of money at that time. I could not believe I had this amount of money. I withdrew around 75% of that. I was like: Oh my God! Like, “What am I going to do? I´m going to go partying!”. I left the remainder as my bankroll and continued to play. At the time I enjoyed poker a lot, but I never saw it as a career. I was just playing random games, whether I was playing Sit N’ Gos, tournaments or cash games, it felt like it was less stressful than it is now. I used to play for a pool team, when I was 15. So, I actually learned the game at this age. But I only started playing poker when I was 18. Did you dream of making it pro? Even to this day, I´m still quite a poker fan. I watch a lot of TV poker. 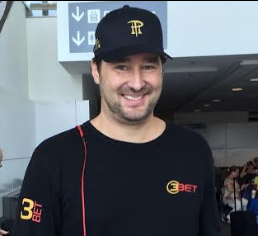 When I first started, I bought Phil Hellmuth´s book – Play Poker Like the Pros. 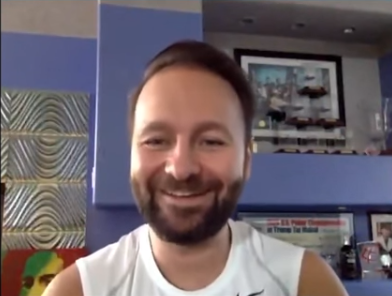 Hellmuth, Negreanu, Gus Hansen; those guys, they were my idols. It is funny, now I´ve got to meet them. And I´m still a bit stressed about it to be honest. My interest kind of grew and grew. 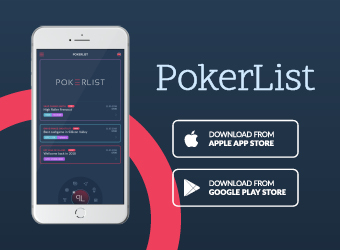 I thought it was a fun game and then I saw poker on TV and – oh my God, there is online poker! I also found out that there is live poker in the UK and in Europe. It became a big passion and as soon as I got interested, it was my dream to make it pro. Growing up, it was just me and my mom. I´m from northern town in England called Rochdale, which is quite an underprivileged place. It is not a nice area. I´d say it helps you to have a hunger to succeed when you come from a lesser background. You are the youngest ever to complete the Triple Crown. After the years, do you still find it your greatest achievement? Yes, for sure. I would say my greatest poker achievement. I think it is difficult to replicate those few wins anyway. If the record gets broken, I will be quite surprised, because it would have to happen in exact order, as I was the right age. Yes, instantly wins a bracelet. So, it is actually very hard, which I´m obviously happy about. Your website is all new; I just checked it out. You gave it a revamp. You still write blog posts, but I am missing one. You visited Africa with the “Right to Play” organization, and I have not seen anything written up about it. I noticed you mentioned on social media that you were not comfortable taking pictures. What happened? There was a video that was made. Obviously, I want to get as much exposure for Right to Play as possible, but it felt a bit distasteful to take pictures while on the trip. It felt like: Here I am, trying to help people. To me, that came across kind of badly. I wanted to support the cause myself as much as I could and raise awareness. I didn´t want to brag about being there, if that makes sense. But of course, raising awareness is the core of it, so, I can understand why people do that. Do you plan to write about it? Now you mention it, I would like to write about it. I´ve learned a lot from the experience. I would not say it was life changing, but it was very touching. It is so difficult to find the right words to justify it. You don’t want to sound blustering. I was a bit worried about that. Saying that, I’ve got a lot of great experiences and memories, it would be nice to have the blog post. Just to recap the memories, maybe it could inspire someone else to help. I’m looking forward to reading it! Could you sum up what was inspirational and touching about the experience? Seeing children happy and playing, oblivious to their surroundings. They are underprivileged; they have got a lot of issues in their lives. When they go to the playground and play games, they could be any kids in the world. It is heart-warming to see them happy and playful when, obviously, they´ve got a lot of sad things going on. Right to Play is a non-profit organization. What does it stand for and why would you encourage people to donate towards this charity? The organization helps children in less-privileged countries. They help them to thrive to become better people, teaching them through games. You can see when kids are in the classroom that it is kind of “more strict” than when you teach them through games, they are really interacting. Each game Right to Play conducts is trying to teach them a certain thing. It´s so good when you actually get to experience it. You can see how the kids react to it. The first half of the trip we went to the teachers´ training course with coaches from Uganda, who were going to become teachers for Right to Play. We did a little crash course. The second half of the trip we went to schools to see how it is implemented. It was an amazing thing to see. It was very difficult – hard to describe it. I look back at it fondly, but it wasn´t a “nice” experience. Touching experience for sure. You are a father to a little girl. How old is Ari now? Almost two years old. That was another thing when I was out there. I saw some of the little girls, I could see her in them. What has changed for you since you became father and what kind of parent are you trying to be? You told me a while back that your “father wasn’t really around”. I think, as any parent, you always want to improve on how your parents brought you up. I believe having children inspires you to become a better person yourself and to be a good role model. I´m aware I´m going to be an influence on her as she´s growing up and I want to be a good influence. I want her to grow up looking up to me. It makes you want to be a better person and do the best you can. It is very difficult, though. 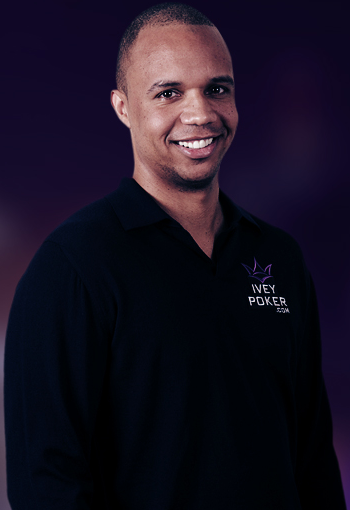 How do you manage to balance family life and a poker career? Anybody who has children has their own personal issues throughout their journey; everyone has difficulties. Playing poker has its own specifics. I´m away quite a lot, but then when I´m home, I don’t have a set routine. I can be around and spend a lot of quality time with my family. It is nice, and I miss them a lot when I´m away. I love my work, too. It is nice to have a passion. Finding the balance is difficult and it is definitely tough on Alex, my girlfriend. How do you grind online with a toddler? They are unstoppable! She usually goes to sleep at 9pm. For example, on Sunday, I probably start around 6. She´s just running around. She might just grab my leg, pull my shirt, she is okay. And Alex is really understanding. She helps out a lot, and she knows… It’s poker, it’s work. 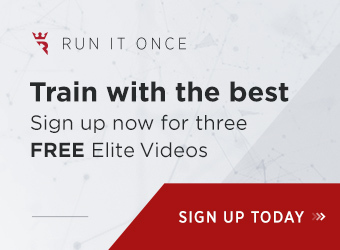 Do you consider your results on the felt satisfactory since winning the Triple Crown? I´ve had quite successful years. I´ve made a lot of final tables. I’ve found it difficult to actually win a tournament. I understand how poker works, I don’t get frustrated really. I think one of my strengths is that I don’t really tilt, ever. I make decisions based on what I think is the correct thing to do, rather than letting emotions influence me. I understand that making final tables doesn’t mean you´re always going to win. You´ve got to put yourself in good positions and it will hopefully work out. 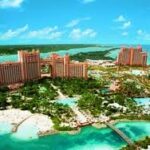 What are your favourite poker destinations? I have a soft spot for Vegas. I know some people go there for the whole World Series of Poker and then get burned out, but I think I could actually live in Vegas. I wouldn’t live in Vegas, but I think I could live in there. Other than that, I think Barcelona is probably my favourite EPT, and honestly, I really like Prague, too. It is such a cool city. In the winter, it is kind of magical. That’s a funny story, actually. The year prior, my friend Matthew Perrins – he also comes from Rochdale – he played the Deuce to Seven. He´d never played the game before and he won the event. He watched some videos on YouTube for two hours and then won the bracelet. 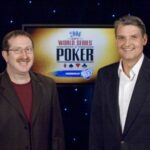 This was in 2011, the same year I won my bracelet. So, the following year, I was like: I´m gonna try to replicate this! I´m gonna play Limit Stud. I was on DeucesCracked trying to find any kind of Limit Stud videos. I watched two videos – OK! Nailed this! I really thought I knew what I was doing. We started with 4,500 chips and I instantly pretty much doubled up. I had 8,000 and thought “I´m actually going to win this tournament!” After that I didn’t win a pot. Also, because it is a limit game, you cannot get it all-in preflop. It is very much a maths game. My stack slowly chipped away and it was depressing, I didn’t have a chance, and then I went all-in and out. There wasn’t a fairytale ending, unfortunately. I´ve been trying to learn PLO this year. I´ve played a lot of cash games this year and some of them, let´s say half of them, in PLO. I´ve been trying to improve that side of it. Do you play live poker in local casinos in the UK? You reside in London, now, right? Yes, I moved to London in February. I´ve been trying to play more cash games. It is just something to do in London really, because it is so expensive there. You definitely can try to level this by playing more cash games. So, half PLO, half Holdem. 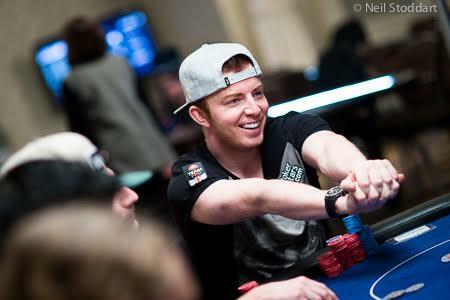 Luckily, a lot of my friends are really good PLO players, so I can talk the hands through with them… like JP Kelly. I believe studying is, in fact, just as important as playing. I call it “being in lab”, if you don’t try to improve. I am always on top of the latest software, like PioSOLVER at the moment. What is going on with your Twitch channel? You don’t stream. I do have an account. I tried to stream once, but I was having a few audio problems. It kind of put me off, but I do want to start. I think I can make it quite fun; just haven’t got round to it yet. Very soon, that´s going to be me! 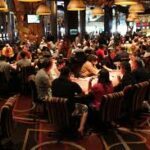 What are your aspirations in poker now? Still hunting bracelets? I think a realistic goal is just to try to improve as much as you can. Results-based goals like winning bracelets are, in general, a pretty bad idea. You could work really hard on your game, put yourself in great position and not win a bracelet. On the flip side, you could be kind of lazy and win a bracelet. An overall goal for me is to keep up with the game, keep working hard. 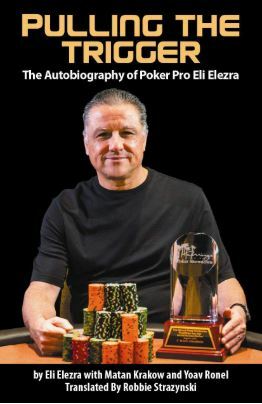 For the longest time my goal was to become the first ever two-time EPT winner. Obviously, Vicky Coren managed to do that before me. But still, there is no guy who has done it, so I can be the first guy to do it. From very humble beginnings, you managed to eventually build up your bankroll to what it is today. Do you think someone could replicate this feat nowadays? What would you recommend to someone who wants to start playing? I think it is still possible. There is a bit of hype about how difficult poker is these days. I don’t think poker is as robotic as it´s made out to be. There is a lot of great value if you look for it. 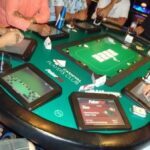 If I was introducing poker to someone for the first time, I would probably recommend playing online as the best way to learn the basic rules and how the game works. You get to play way more hands in a shorter space of time. I would say, make a small deposit on PokerStars and start from there. When you get into poker, you should try different variants and forms and decide which one you like the best. The one you enjoy the most is the one you will work hardest at. 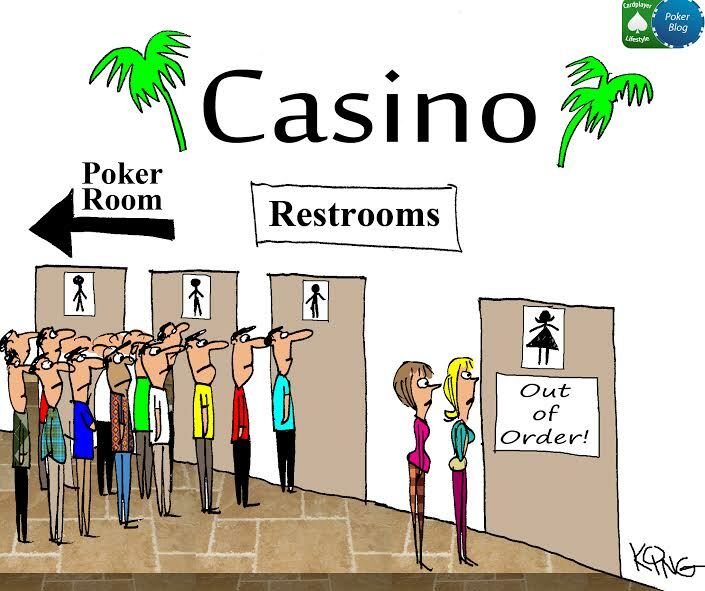 I don’t think it is better to pick one and then be hating that form of poker and just doing it for the sake of it. Having a love for poker is very important. If you lose love for poker, it´s the beginning of the end.